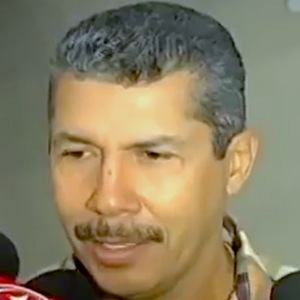 Venezuelan politician who is known for holding positions as the mayor of Barquisimeto in the Iribarren Municipality as well as governor of Lara State. He is also known for having been a presidential candidate during the 2018 election. He entered the armed forces of Venezuela in Caracas as a non-commissioned officer of the army. After the army, he began his graduate studies at Simon Bolivar University. He was elected a delegate of the 1999 National Constituent Assemble from Lara State. He then became mayor in 2000 of Barquisimeto and was reelected in 2004. He announced his bid for presidency in January of 2018. In June of 2012, he announced the creation of a new political party, Progressive Advance, which was aligned with the MUD coalition. He married Marielba Diaz in 1987 and together they had four children. He is known for having met Hugo Chávez while at Simon Bolivar University prior to his 1992 Venezuelan coup d'etat attempts.